Santa Monica Civil Rights Lawyer. Civil rights is a broad area of the law that extends far beyond gender and racial equality to virtually all of our constitutionally protected rights, including the rights to due process, privacy, equality, and the right to petition for redress against our government. 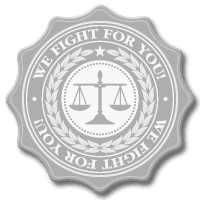 We specialize in protecting our clients’ civil rights. In a recent police shooting case of a young boy who was shot , fortunately with minimal injuries by the Los Angeles County Sheriff Department Officer, Mr. Shiri obtained a verdict over a million dollars. We know the civil rights law, and we will give you personalized, individual attention in order to collect the maximum amount of compensation and damages that are available to you under California law. If you, or someone you know, has a need for a Santa Monica civil rights lawyer, call our office immediately (310) 829-9943. We understand the unique needs of civil rights litigation and will work to make the litigation process as comfortable as possible. All consultations are free, and we always work on a contingency basis, so you do not pay anything until we win your case. It comes down to experience, comfort level and results. Count on a Santa Monica civil rights lawyer who will work hard for you to bring your personal case forward and make a difficult situation easier to bear. Contact the Santa Monica civil rights lawyer team at Robert Shiri Law Offices today for a free consultation and advice about your case.